Recently I've been thinking about fall-themed recipes and projects that I could include in my BLOGtober series, Time for Fall. In addition to being fall-themed, I wanted the posts to also be useful. 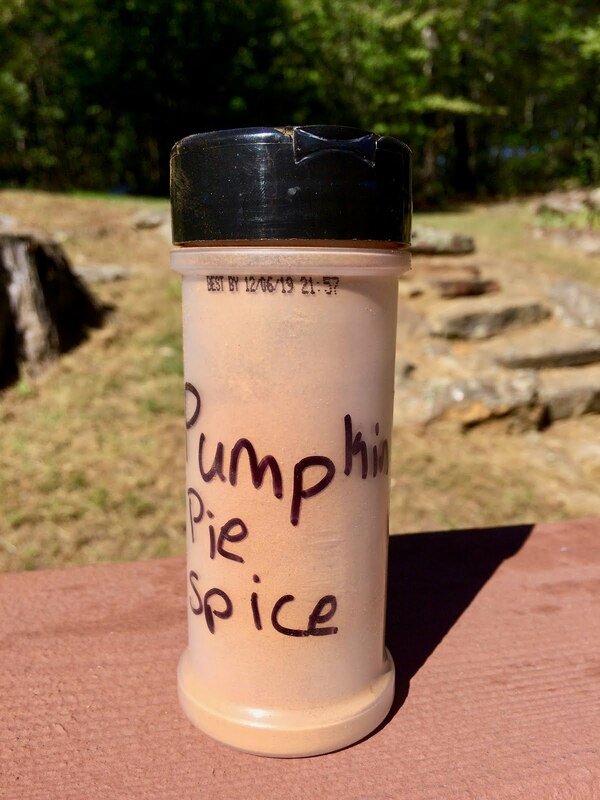 So, after some thought I thought you might like to see a review of a DIY pumpkin spice mix. I found the recipe here, but to be honest, you can find similar ones all over the web. Click the link above to for complete instructions. So my opinion? 4/5 stars. I'm not sure what it was, because although this was good it was not quite perfect. When I make pumpkin pie I skip the allspice and cloves. Maybe that was it. Either way, it was good, but I may look for another mix next time around. And I will certainly use what I have. Stay tuned for Nice and Spicy Soap and Pumpkin Spice Play Dough, both featuring this warm fall blend! My very not pretty, not blog-friendly picture of the old cinnamon container I used to store my Pumpkin Pie Spice. Sometimes you just have to use what you have on hand. No fancy labels or jars, just an old plastic container and a sharpie! Do you have any favorite homemade spice mixes? This taco seasoning is my favorite of all time. I use it often. It saves me money and I like it much better than store-bought mixes. Awesome! Never thought about making my own pumpkin pie spice mix and storing it like this. 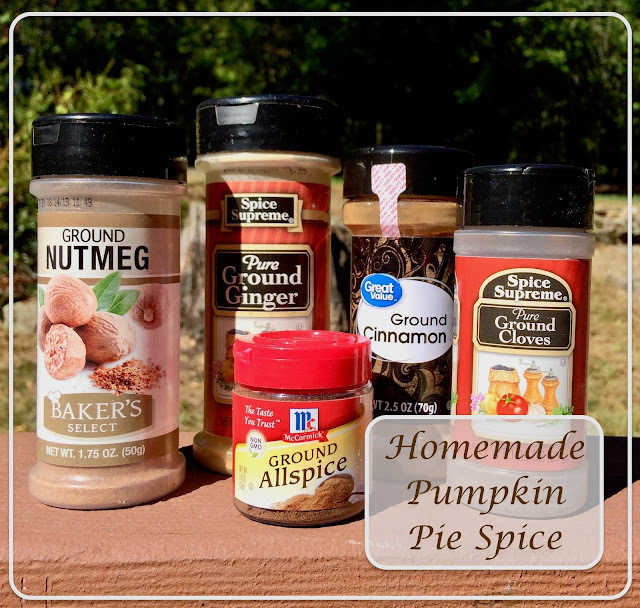 I add cinnamon and nutmeg to my coffee often - I should try the pumpkin pie spice mix. Thanks for the idea! That's a good idea with the coffee. You should definitely try it. Let me know how it goes if you do! I never would have thought of mixing my own! Saving this for future reference!!! !